to break the cycle of child abuse by collaborating with big businesses, the technology sector, entrepreneurs and innovators. 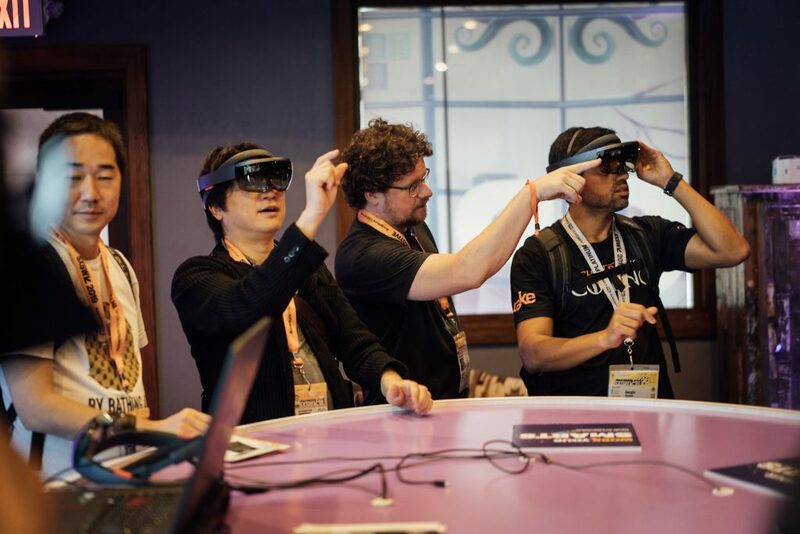 From the SXSW Social & Global Impact sessions, to its Startup track, AR/VR sessions and keynotes, there was much to learn from Texas’ largest innovation gathering. Think big. Start small. Relentlessly seek impact. Ann Mei, author of Lean Impact: How to Innovate for Radically Greater Social Good, explained that innovation—be it through social entrepreneurship, a nonprofit, or in an innovation lab setting—starts with big hairy audacious goals that set the stage for first steps, small steps and experiments. With a big vision, starting small can yield blueprints for scalable models of social impact that ultimately provide value and the growth potential to achieve the impossible. Data for good must mean data for all. Jake Porway, CEO & Founder at DataKind, expressed that your results are only as good as your data. “We think of data as clean, modular and neat, but there is a huge iterative process you can’t overlook.” Even if you have great data, there is no magic wand to eliminate bias. The best way to eliminate bias in data and innovation is to be inclusive of the entire population, and especially those being served. Focus on strategic partnerships that are built for long-term growth. As a member on a panel hosted by Google for Startups, Michael Mignano, Co-Founder & CEO of Anchor (just sold to Spotify for $339M+), elaborated that while quick-hit partnerships are tempting, the real value is in long-term partnerships. To paraphrase, Mignano said that the most valuable long-term partnerships are those which help to build an ecosystem of value between your business and groups who closely align with your Value Proposition. Seek out long-term partnerships and be wary of quick-hit deals unless the alignment is obvious. She argues that everyone creates, collects and leverages data in an organization. Yes, someone must own the “data supply chain”, but part and parcel to changing the culture is changing how team members view their relationship with the organization’s data. Fellow panelist Alex Balazs, Intuit Chief Architect, agreed that the person who owns the data supply chain should be a great teacher and help team members understand their relationship with data. Person-first language matters. Leilani Attilio, former Army Nurse Corp Officer and drug policy reformist, says that person-first language matters in addressing the Opioid crisis in America (and we might add that it matters for all social service-related spaces). She expressed that language drives thoughts, and thoughts drive policy. Thus, when we label people as “addicts” instead of persons with a substance use disorder, or “abused” instead of someone overcoming abuse, then we are “othering” them— treating them intrinsically different from ourselves. Simply put, othering is a dehumanizing tactic and a bad place to start our thought process if we want to create better outcomes, together. 8. The measure of a metric is its utility. Ketan Gangatirkar, VP of Engineering for Job Seeker Products at Indeed, discussed “The Alchemy and Science of Metrics” and how choosing a metric is an exploration. In determining its utility, Gangatirkar encourages us to observe which actions will improve or downgrade the metric. He further advises us that “too many metrics restrict our movements.” Instead, focus on 3-4 independent–as in, independent of influencing each other–metrics to test your actions and process/product adjustments. 9. “Conversion rate optimization is like dating.” Neil Patel, CMO of Neil Patel Digital, presented poignant insights to enterprise marketing. Given that web traffic is “so expensive that data needs to drive decisions,” Patel urges enterprise organizations to focus on conversion rate optimization (CRO). Everything from 2-step checkouts to personalized site experiences (e.g. cities and first names) improves CRO and drives customer/donor acquisition at scale. These “extras” facilitate a relationship, much like dating, Patel contends. 10. “People are hard to hate close up. Move in.” The most powerful lesson in leadership at SXSW 2019, might be these words from NYT Best-Selling author and researcher, Brené Brown. Whether it’s in the workplace, politics or our personal lives, we can all learn something from people different than ourselves. Instead of dehumanizing each other to labels—the addict, the abused, the left, the right— Brown encouraged the crowd to “move in,” suggesting that it’s harder to demonize each other when we see pieces of ourselves reflected in others’ eyes. 11. Very few brands have an audio brand or strategy. Pause your podcast for just a couple minutes and focus on these observations from industry leaders. Spotify’s recent acquisitions of Gimlet (content creator) and Anchor (a toolbox for producing podcasts) made for a fruitful keynote panel on the future of audio with company leaders Matt Lieber and Michael Mignano, respectively. One of the many takeaways from the panel, Lieber emphasized the growing need for brands to have an audio brand or strategy. He asked audience members to consider “How does your brand sound on Alexa?” Lieber and Mignano agree that there’s a different and more personal connection with the audience, especially on podcasts. 12. Blockchain & social impact: adjust your innovation timelines. Dr. Tomicah Tillemann, Cofounder & Director of the Blockchain Trust Accelerator at New America, was one among a panel of heavy hitters in the blockchain and social impact space, discussing blockchain technology applications by the UN World Food Programme and World Economic Forum. Dr. Tillemann made an observation that stands out: “Many of the systems we’re trying to improve [with blockchain technologies] are fundamentally broken, so we have to adjust our innovation timelines.” Food supply chains, international payments and election systems–uprooting and replacing these systems requires heavy lifting and collective action (read: many partners) due to the interconnectedness that the systems foster. 13. Talent is the Impact Investing industry’s biggest challenge. You might have heard that measurement is a struggle in Impact Investing. Maybe you heard that lack of deal flow is limiting growth. At “Mainstreaming Impact Investing,” talent emerged as the biggest challenge: there simply are not enough fund managers or people with impact investment fund management experience–a classic “chicken vs. egg” scenario. While many people pointed out that Impact Investing is one of the most popular areas among MBA students, there are not enough jobs available to meet the demand. Panelist Ira Ehrenpreis, Founder & Managing Partner of DBL Partners, a leading impact investing venture capital firm, proposed that converting traditional investors to Impact Investing is “like changing one’s religion,” so it will take time before we see the SMEs from traditional investing gravitate in mass to Impact Investing. SXSW explore the possibilities of immersive storytelling in Virtual Reality (VR). Image by Paul Hudson on flickr. 14. “We have to collaborate with public systems to open up to innovation.” Alan Graham, Founder and CEO of Mobile Loaves & Fishes, shared many lessons in his experiences “Outsmarting Homelessness”, but this observation takes the cake. Fellow panelist Kerry O’Connor, Chief Innovation Officer at the City of Austin, concurred. O’Connor challenged social impact leaders to bring ideas and innovations to public sector leaders. 15. We’re going to be wrong about Blockchain use cases. David Schwartz, Chief Technology Officer at Ripple, is considered one of THE thought leaders on blockchain technologies and cryptocurrencies. His keynote was a SXSW highlight. Schwartz asked us to recall how we first thought of the Model T, the internet, the iPhone–all were innovative technologies and no one predicted exactly how they would be used today or what ancillary industries they would foster. He emphasized that we think blockchain can be used to realize opportunity costs, improve transparency and provide greater access/reach in international payment systems, but short of that, very few other blockchain use cases have emerged with product-market fit. And that’s okay, in Schwartz’s opinion. The right ones will emerge, but for the time being, be leery and ask questions when someone suggests a use case. 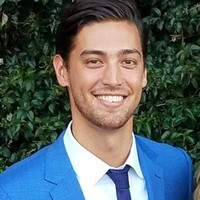 Ryan Park is a mission-driven business leader and social entrepreneur with a passion for innovation, business development, business strategy, and making social change. He has 10+ years of diverse experience ranging from co-founding a full-service digital agency, consulting, launching programs at venture-backed digital startups, and currently manages Upbring Innovation Labs. Kyle Kerrigan serves as Senior Business Analyst at Upbring Innovation Labs. He gathers and analyzes data to aid in decision making, predict future outcomes, and solve complex problems. 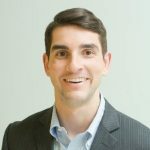 Kyle also serves as Chair-Elect at the Austin Young Chamber where he contributes to the Chamber’s engagement of Austin’s longstanding residents, recent graduates, and newcomers alike.